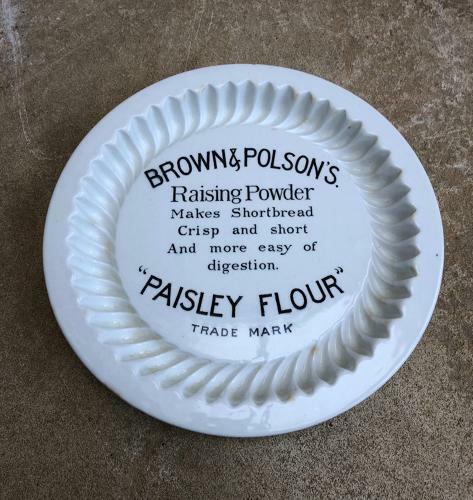 SUPERB Condition Early 20th Century White Ironstone Advertising Shortbread Mould - Brown & Polsons. Made & Stamped Doulton on the back. No damage at all...good, clean and white.